Lord Shiva is one of the most important deities in the Hindu religion. He is known by many names such as Mahadeva, Neelakantha, Rudra, Shambhu, Nataraja. Shiva’s form of Nataraja symbolizes the cosmic dance of creation and destruction. More interestingly, CERN which is located at Geneva, that lies on the French/Swiss border is the European Organization for Nuclear Research whose primary function is the oversight of the Large Hadron Collider (LHC). It is one of the biggest and greatest scientific research centers in the world and interestingly it has a statue of Shiva Nataraja. 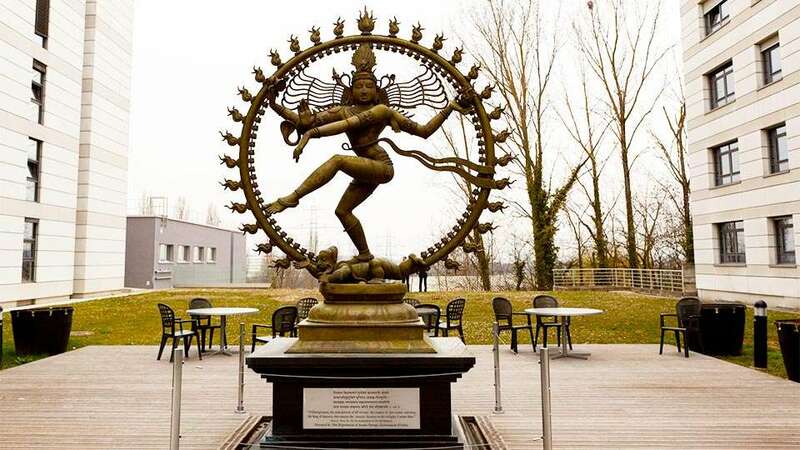 The statue was gifted to CERN by the Government of India to celebrate the research center’s long association with India. The statue was unveiled on June 18, 2004, which is 2 meters tall and was made in India. The statue is on permanent display in the square between buildings 39 and 40, a short distance from the Main Building. 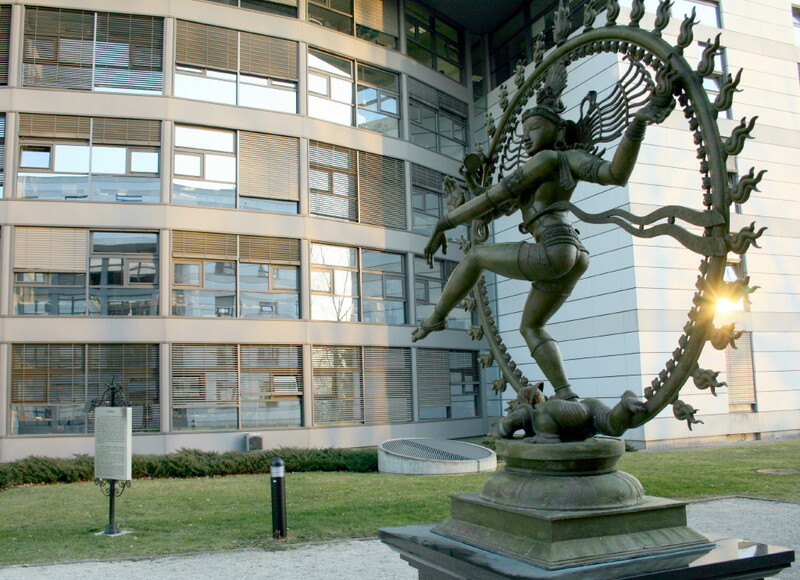 They said that since India was one of the institute’s observer states, it represented CERN’s multiculturalism with scientists from across the globe. Tandava, a dance believed to be the source of the cycle of creation, preservation, and destruction is the dance portrayed in the statue of Lord Shiva. The dance exists in five forms which shows the cosmic cycle from creation to destruction. It is believed that Lord Shiva danced the Universe into existence, motivates it, and will eventually extinguish it.